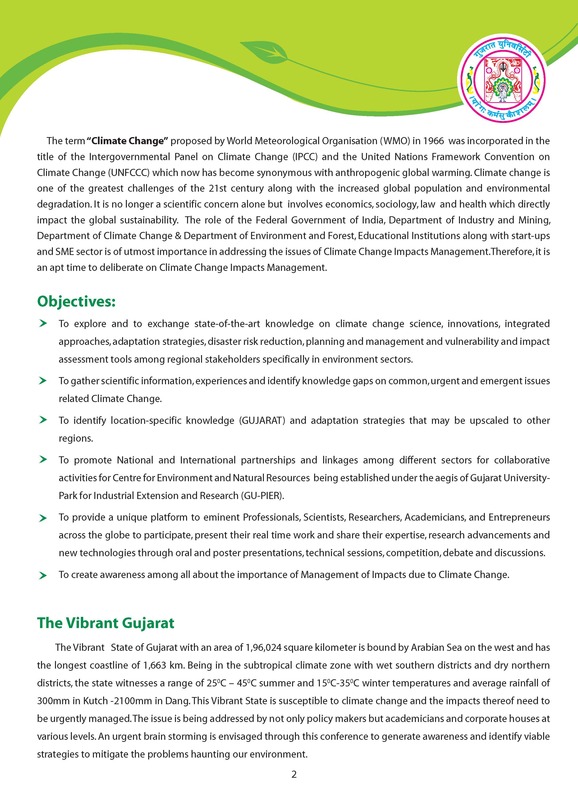 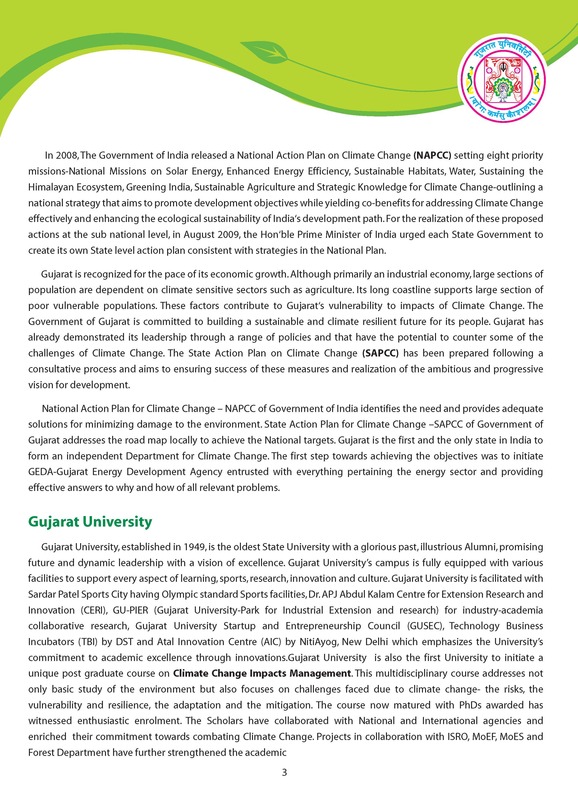 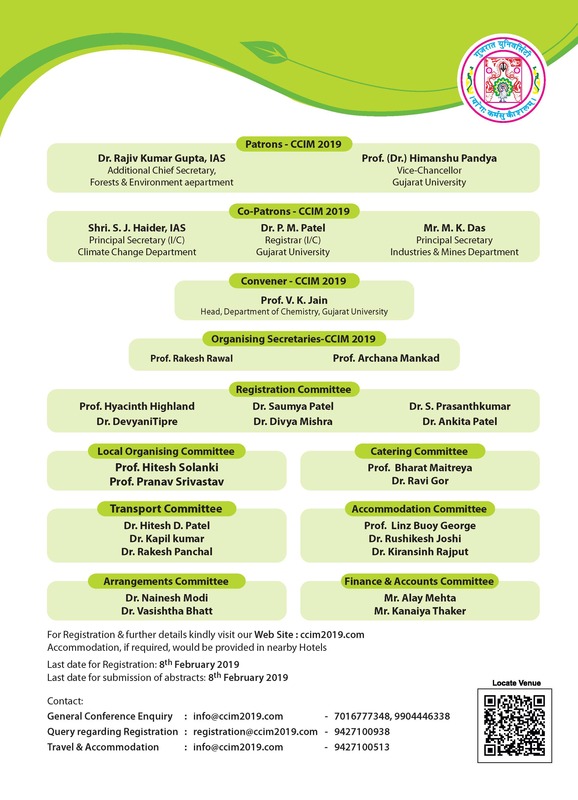 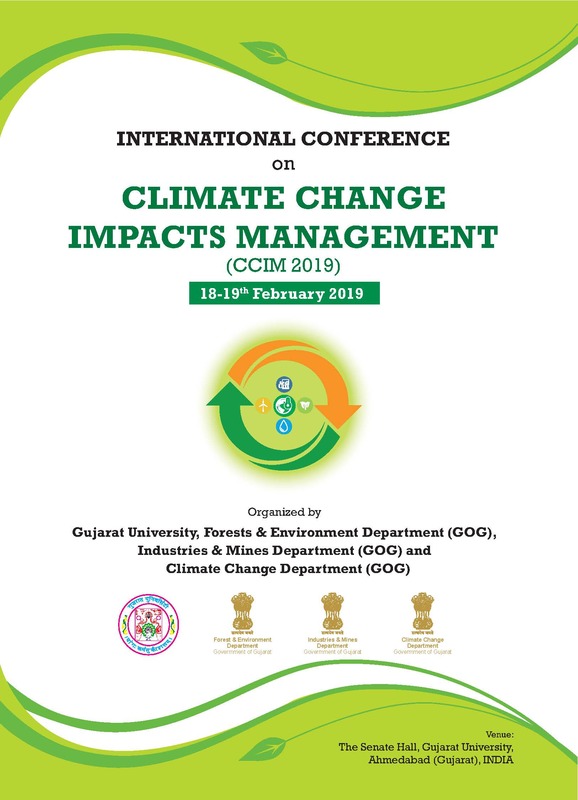 GUJARAT UNIVERSITY, Forests & Environment Department, Industries & Mines Department and Climate Change Department are jointly organising an International Conference on Climate Change Impacts Management during 18th-19th February 2019 at Gujarat University’s Senate Hall. 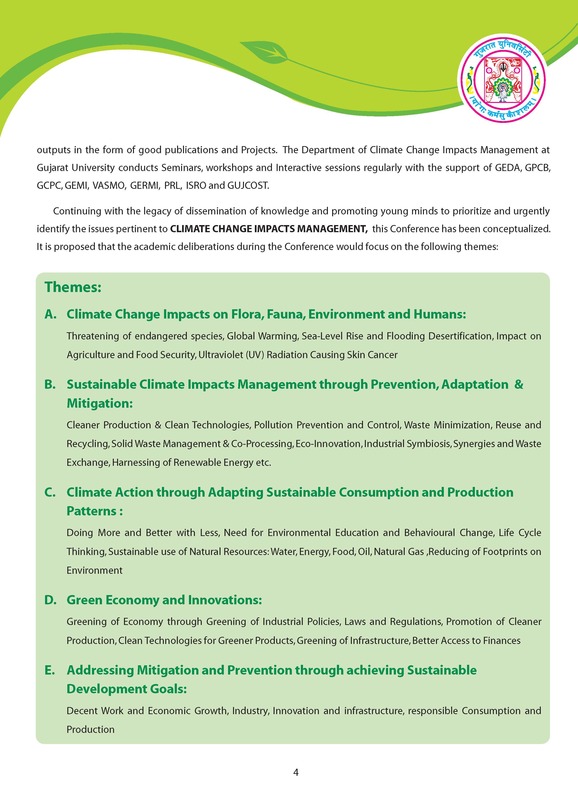 The CCIM-2019 will witness more than 1000 participants including Policy makers, planners and development workers, experts from State and Central Appraisal Committees for environmental clearance, NGT members, professionals from different international, government, non-government officials from of Forest & environment Department, Climate Change Department, Industries and Mining Department, Coastal Regulation Zone Management Authority, Biodiversity Board and Ecological Commission etc. 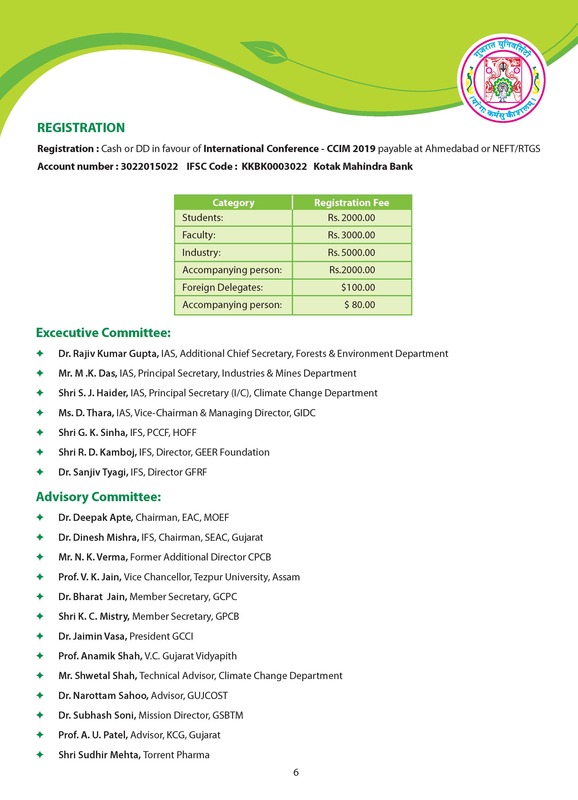 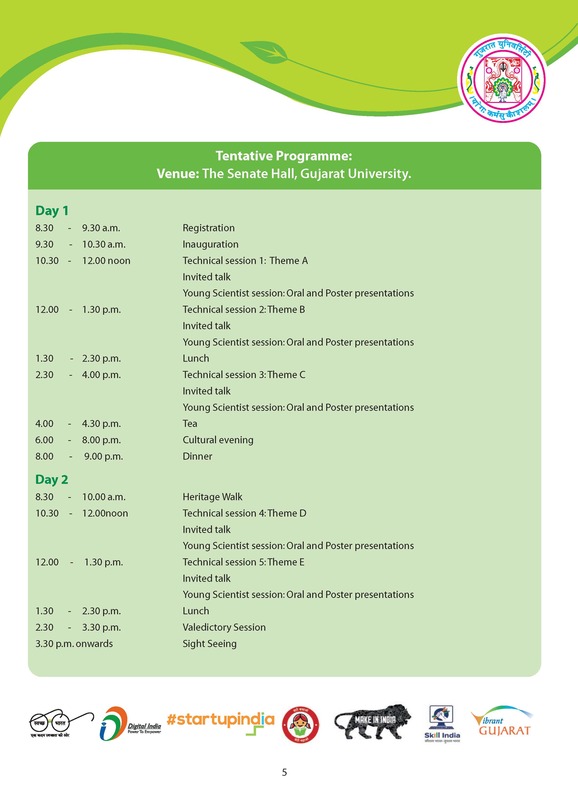 This international conference will provide a unique platform to eminent Professionals, Scientists, Researchers, Academicians, Industrialists and Entrepreneurs across the globe to participate, present their real time work and share their expertise, research advancements and new technologies through poster presentations.